Lae, Morobe Province, PNG, 23rd October, 2015 â€“ that will help to restore the gardens to their former glory and transform the Northern precinct into an incredible botanical experience for visitors; with the beauty and diversity of PNG culture and plant life at its heart. These designs were made possible by a generous donation from Swire Shipping who have long supported the Program. 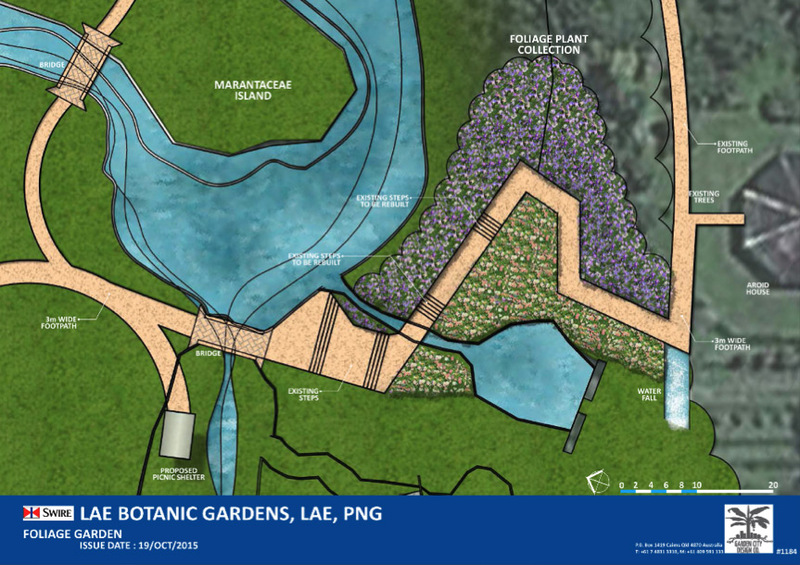 PNGâ€™s Forest Research Institute in partnership with Friends of the Lae Botanic Gardens are now calling out to all major sponsors to help enable each garden design become a reality. 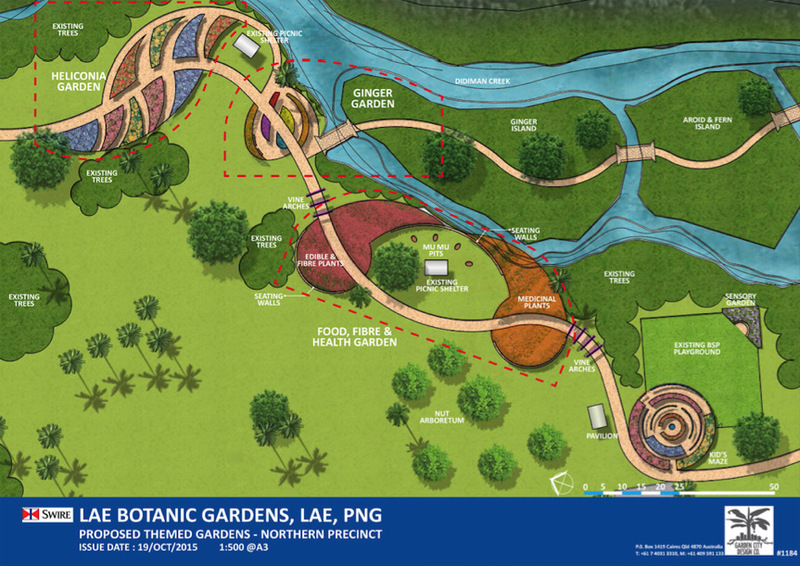 Working together as a community to bring these designs to life will put the Lae Botanic Gardens back on the map as one of PNGâ€™s top tourist destinations and may well reinstate Lae as the beautiful â€˜Garden Cityâ€™ of PNG. Engaged by Swire Shipping, award winning Cairns-based Garden City Design Co. were responsible for these garden creations. Already familiar with Lae having worked on the beautiful Lae War Cemetery that neighbours the Gardens, the design concepts incorporated feedback from key stakeholders and showcased much of PNGâ€™s spectacular and diverse flora, adding significant educational, recreational and tourist appeal to the gardens. 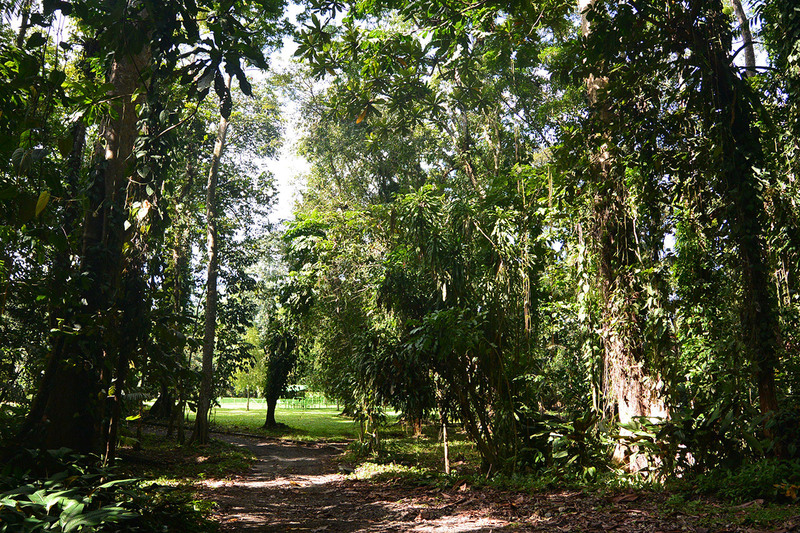 The designs include a Heliconia Garden, Ginger Garden, Food, Fibre and Health Garden and Foliage Garden spread throughout the Northern section and connected via pathways with archways and creeping plants that meander around existing picnic areas, mumu pits, the creek, staircase and islands. There is even a fun design for a childrenâ€™s maze to complement the existing BSP playground area. The designs offer a glimpse of a natural wonderland full of colour, texture and structure that would take the visitor on a journey through PNGâ€™s unique and complex environment. The Lae community will have an opportunity to see the garden design concepts and all the progress that has been made in the gardens when we open the gardens to the public for our upcoming Open Day on Friday 6th November. All are welcome with free entry between 1pm and 4pm. Above: The Foliage Garden to revitalise the stairway to the top area of the Gardens. Above: Garden City Design Co. Master Plan showing the Heliconia, Ginger and Food Fibre and Health Gardens and the Childrens Maze. 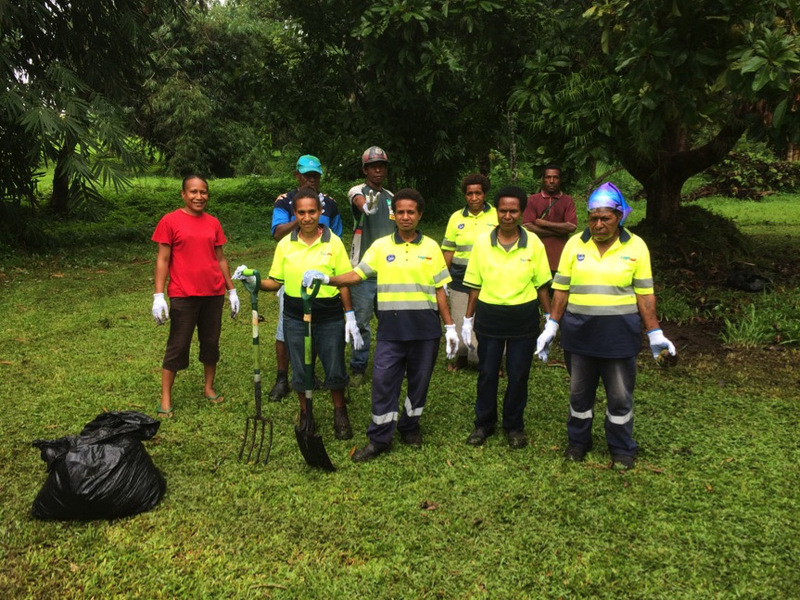 Lae, Morobe Province, PNG, 12th October, 2015 â€“ Over the first two weekends of October, the Lae Botanic Gardens have been given a mighty makeover thanks to the hard work of more than 320 Laga Industries employees who have spent their past two Saturdays working throughout the gardens in small teams to help prepare the them for opening. Working with PNGâ€™s Forest Research Institute and Friends of the Lae Botanic Gardens team, Gala Ice Cream workers have helped lean the RAAF DC- 3 Plane, existing BBQ facilities, the central creek bed as well as general cleaning up and preparing new public garden beds for each picnic area. Joining many corporate supporters of the National Botanic Gardens (Lae) Advancement Program, Laga Industries have come on board as a strong supporter just at the right time, as the gardens gear up to host an open day for the public, scheduled for early November. Despite the heavy rain on Saturday 3 October, Laga Industries employees were out in force, working in teams and dedicating their energy to getting the gardens cleaned up and ready for the community to view. 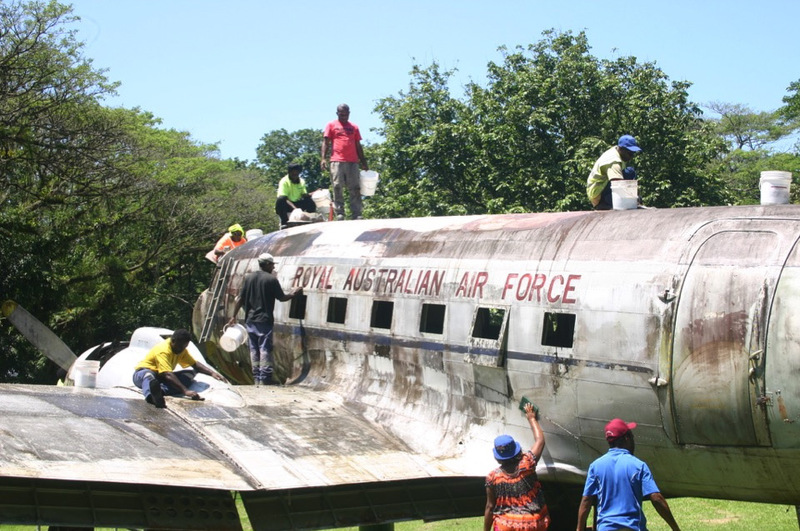 The following Saturday, 10 October, the gardens hosted a steadfast group of approximately 20 volunteers from Laga Industries who spent a sunny afternoon washing down the treasured RAAF DC-3 plane. With expert restoration advice from Unitechâ€™s Vincent Koddy and equipment jointly supplied by Laga Industries and PNGâ€™s Forest Research Institute. The transformation of the RAAF DC-3 was dramatic and she now shines brighter than she has in many years. Above: Gala Ice Cream employees washing off years of dirt and grit from the RAAF DC-3 plane on Saturday 10th October.